For readers of Proof of Heaven, this is the astonishing true story of a woman who possesses an extraordinary gift: Laura Lynne Jackson is a psychic medium, able to converse with souls from the other side. 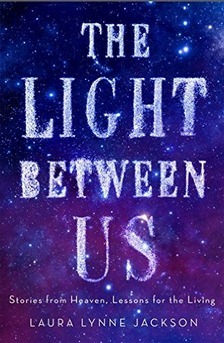 In The Light Between Us, she tells her story of how she struggled with her abilities, and even denied them, for many years. She explains how she ultimately found peace through a scientific understanding of her gift, and discovered that she could help people come to terms with loss. And she shares the deeply affecting lessons she has learned in her work, teaching us what she has come to understand about the universe in order to help us live better lives in the here and now.